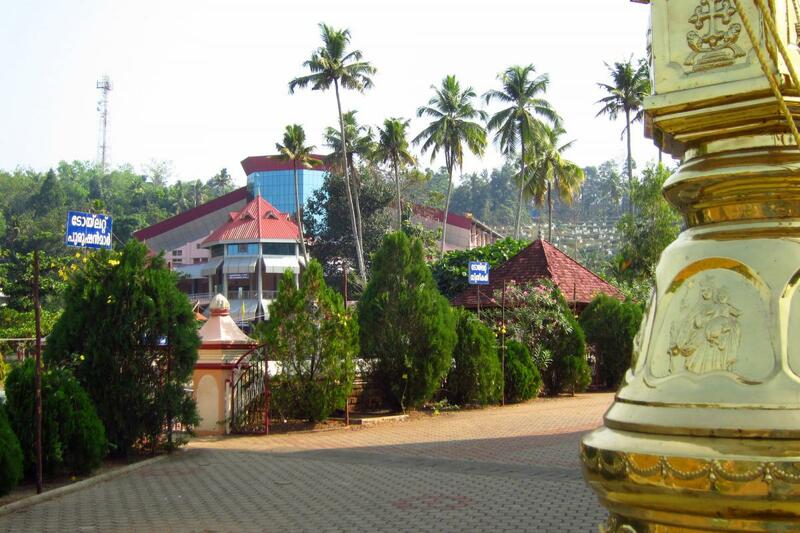 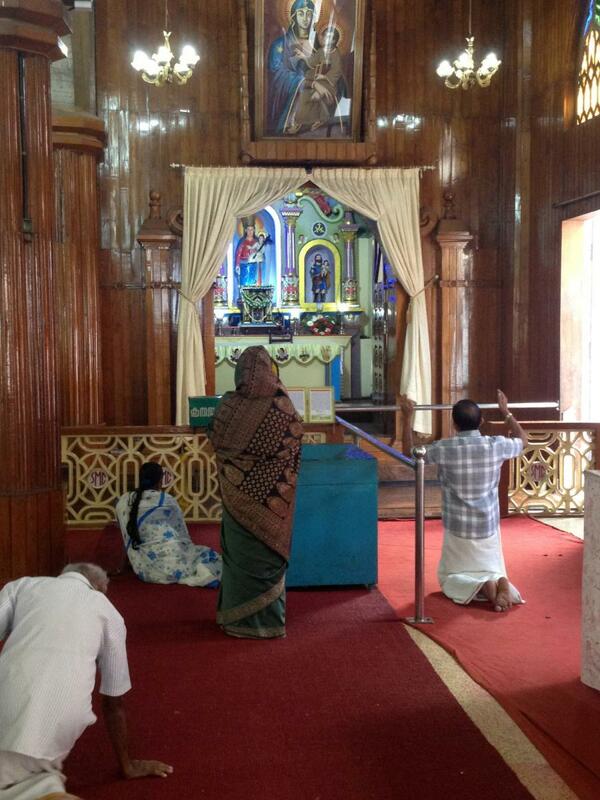 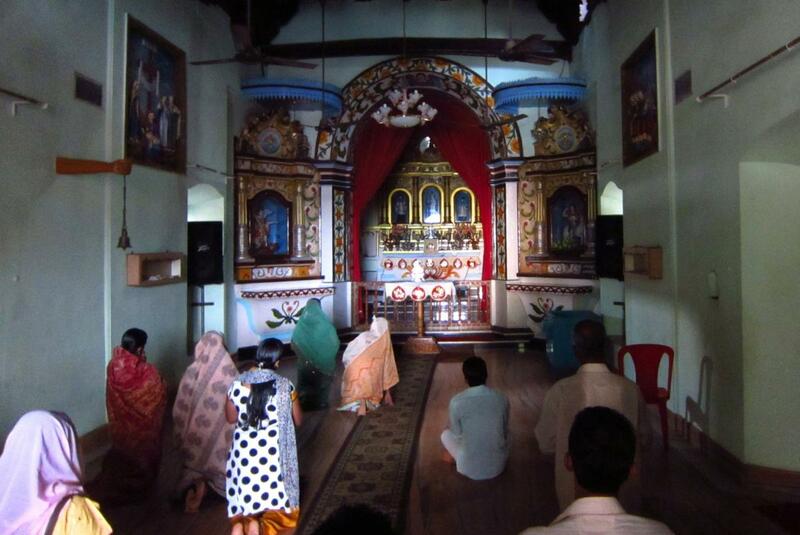 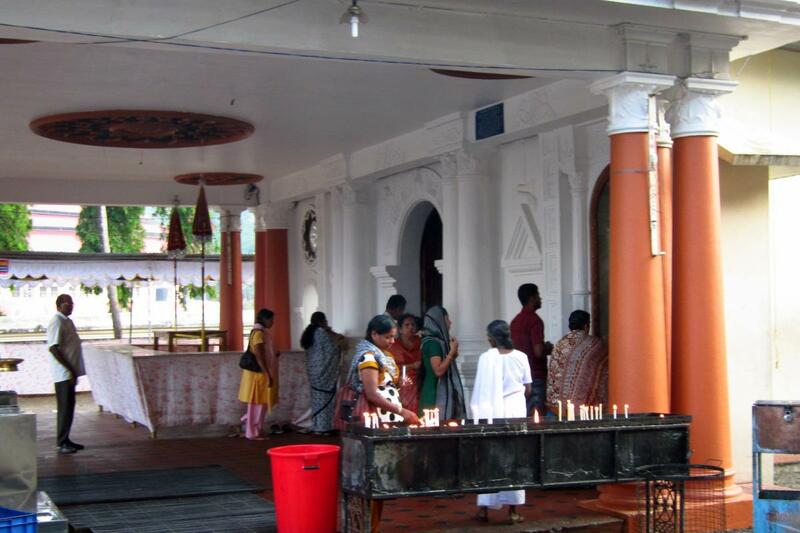 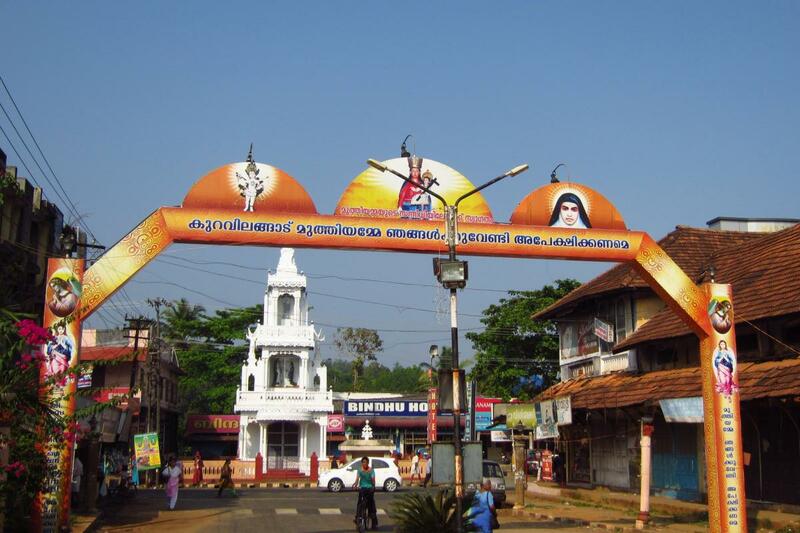 Visually, and in terms of many cultural practices, Syro-Malabar, Syro-Malankara and Latin rite Catholic churches look quite similar. 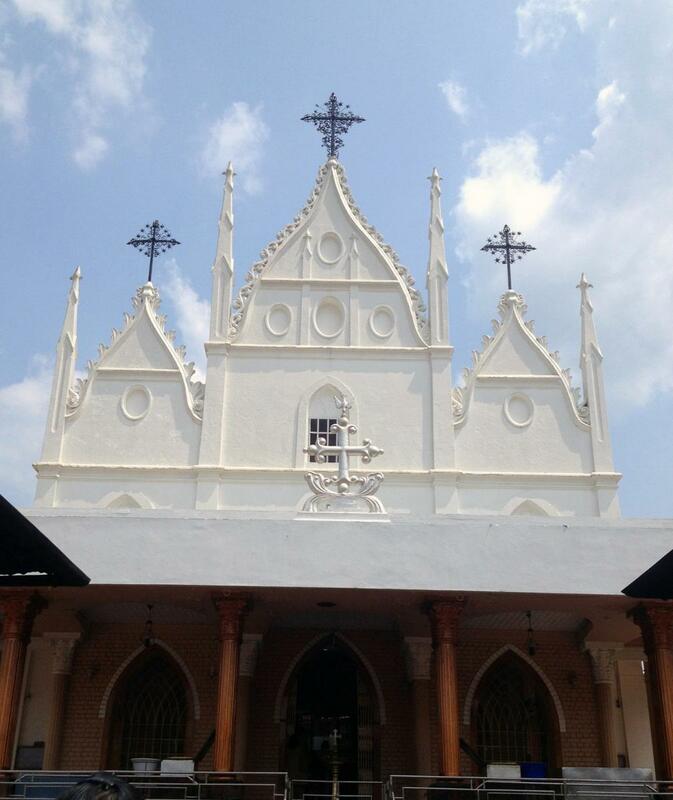 Churches can look baroque, or gothic or contemporary. 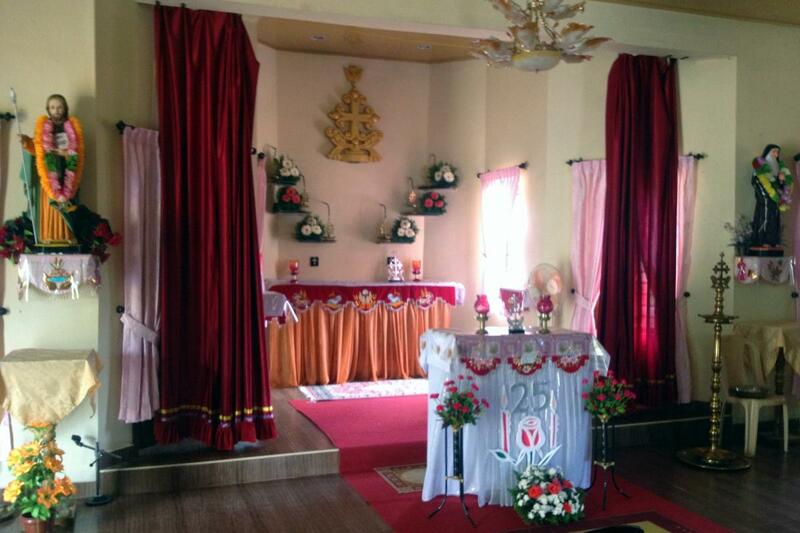 They similarly feature prominent flag poles for parish feasts. 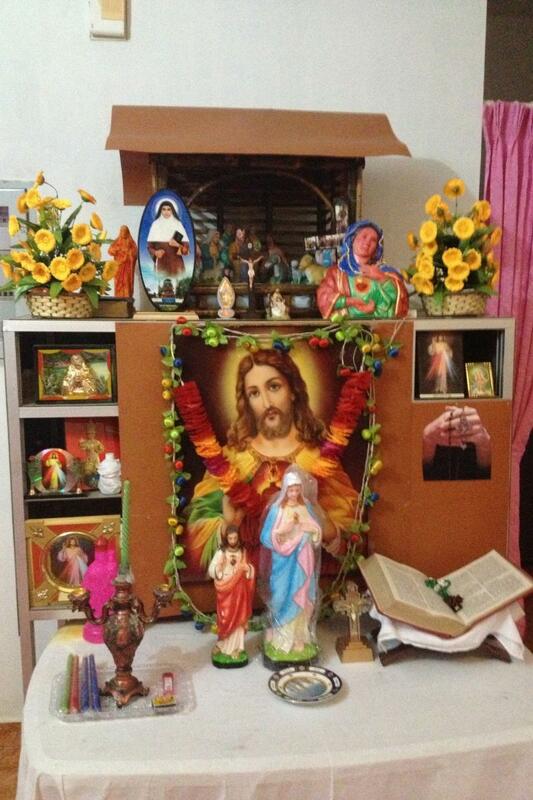 They are often differentiated by oil lamps for burning oil, or for pouring oil over the cross.